An intricately hand-woven geometric design adorns this piece from the Subria collection by Surya. Coming in a warm camel to a colder navy, this pillow can be the perfect addition to your home aesthetic. This piece is made of 55% Linen & 45% cotton and should be spot cleaned only. 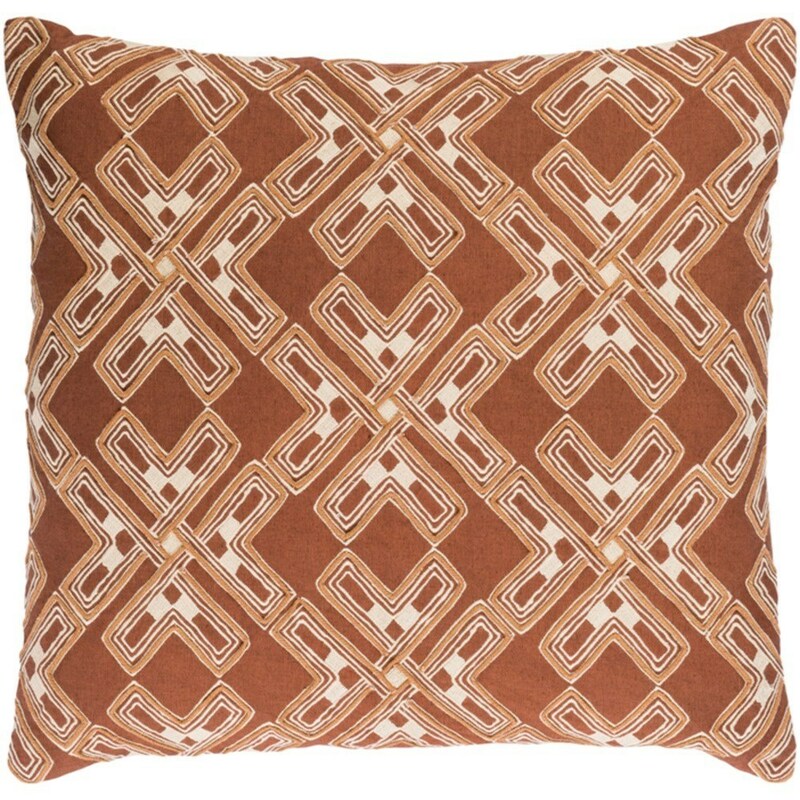 The Subira 8485 x 19 x 4 Pillow by Surya at Corner Furniture in the Bronx, Yonkers, Mount Vernon, White Plains, Manhattan, NYC, New York area. Product availability may vary. Contact us for the most current availability on this product. Browse other items in the Subira collection from Corner Furniture in the Bronx, Yonkers, Mount Vernon, White Plains, Manhattan, NYC, New York area.